Lord Palmerston (1784-1856) in full known as Henry John temple ,3rd Viscount Palmerston of Palmerston of the Dublin country of Mount Temple of Sligo was a English liberal statesman who had a long career that included many years of his service as British foreign secretary and also as Prime Minister which made him a national symbol of British. What were the demands of the Chartist movement? Why did the Chartist movement fail? What was Lord Palmerston involvement in Chartism Movement? Henry John Temple was born at Broadlands, Hampshire on October 1784 and was educated at Harrow School and St. John’s College in Cambridge. He was the son of Irish Peer, the 2nd Viscount Palmerston and after his father’s death, he succeeded to the Irish Peerage on April 1802. He began his political career began in 1807 when Tory paid $1500 to become the MP for Horsham and the legality of the election was then challenged which lead for an arrangement of Palmerston to become MP for his pocket borough of Newtown. In 1811 he became MP for the Cambridge University. He remained in parliament for 58 years as he was eligible to sit in the House of Commons being an Irish Peer. From 1807 to 1809, he served as a junior Lord of Admiralty in Lord Portland’s ministry. From 1809 to 1828 he held the position of secretary of war. He was more committed to liberal foreign policy under the influence of George Canning. After the death of Canning, Palmerston left the party of Tory and joined the Whigs. He also became foreign secretary in the Grey Cabinet and held this position till 1841 first under Grey and then under Lord Melbourne except for 4 months during Sir Robert Peel’s ministry. There was no contradiction between the internal and foreign policy made by Lord Palmerston. He believed that the British constitution and the social systems that existed in 1830 were the best among all in the world and were near to perfection compared to any other human institution. Although he was conservative at home he wished to preserve and prevent any developments leading to democracy. But he was Liberal abroad as he wanted to see these systems replace the monarchies of different continents. From 1841 to 1846 foreign policy was passed to Lord Aberdeen in the second ministry of Peel, but Palmerston returned in 1846 to the Foreign Office for another 5 years and during this year’s he was outspoken and England was one of the greatest power of the world during this time. In 1851 with the orders of Queen and under the Prime Minister Lord John Russell, Palmerston was dismissed. 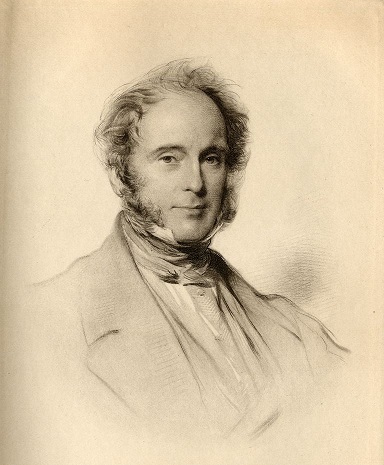 Despite the dismissal, Palmerston joined Lord Aberdeen’s administration as Home Secretary in 1853. Later he was catapulted in 1855 to Prime Minister’s office during the Crimean War disaster which demanded powerful leadership. Lord Palmerston was 70 when he became prime minister which he remained until his death in 1865 except for a short break during the Tory ministry from 1858-1859. He established the Court Marriage and divorce that allowed people to get divorced without going to parliament. He died in October 1865 in his office. Nations have no permanent friends or allies, they have only permanent interests. Dirt is matter in the wrong place. Large republics seem to be essentially and inherently aggressive. Half the wrong conclusions at which mankind arrive are reached by the abuse of metaphors, and by mistaking general resemblance or imaginary similarity for real identity. Voting rights were given to the property owners of the middle classes in Britain in the year 1832 but many still wanted other reforms in politics. Chartism was the movement of the working class that existed in 1836 and their main aim was to achieve political rights and influence for the working class. Chartist movement failed to obtain the parliamentary support for the Charter. The middle-class people ignored the Chartist movement completely. There was no unity between Chartist and also the response from the government was very firm and they handled it very calmly. There were too many differences of opinion and ideological ideas among the chartist themselves. Finally, the Chartism tore themselves apart which cause the failure of this movement. There were three moments when support for Chartism peaked which was in 1839,1842 and lastly in 1848. In the middle of the nineteenth century, the challenges faced by Britain were highly considered as the home political dissatisfaction was very widespread and despite the failure of the Chartist movement the country was far away from political stability and demanded greater democratic accountability which was unavoidable. Under the reign of Lord Palmerston Britain was achieving the prominent position among the European countries where the Chartist revolution had not affected because of his foreign policies yet in 1848. Later Lord Palmerston delivered a four and half hour of speech as a Foreign Secretary in defense of the Foreign policy in the debate of June 1850 in the House of Commons. The main content of the speech was about the protection of the injustice and wrong. He received an explicit commitment to his action on the reforms of infusions of his foreign policy and got 46 votes as a majority by the end of his debate. Palmerston was not a liberal person as he was very narrow in his outlook. He was a great nationalist and a British Patriot and also an aristocrat who did not support the franchise for the working class. Palmerston Personalities was more important than his policies. He overawed the nation, the parliament and all courts of Europe with his daring style and social charm.